Keep your existing planter boxes looking fresh and lovely for many seasons with these Panacea Planter Box Coco Fiber Liners. This generous package of 12 formed liners refreshes a wealth of existing, 24" long Panacea wall or deck planters. The coco fiber construction of each unit lends a classic hint to your planter, while keeping soil in place and retaining moisture. The brown tone of the fibers contrasts your herbs and flowers, and their formed shape is perfect for existing, 24" long, Panacea planters. 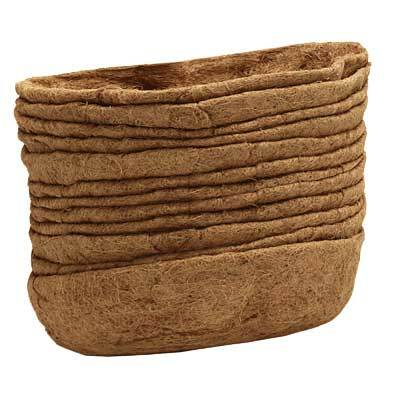 Extend the lifespan of your deck planters with these Planter Box Coco Fiber Liners. Note: This case pack contains 12 of the Panacea Planter Box Coco Fiber Liners, 24"L each.